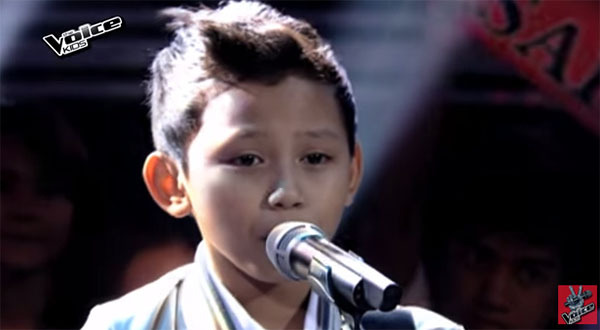 Gian Ale from Team Sarah sings ‘Cecilia’ by The Vamps on The Voice Kids Philippines Season 2 Sing-Offs round on Sunday, August 16, 2015. “When you hold your guitar, you really fire up your performance. I really enjoyed your performance,” said coach Lea. “The challenge is how how you connect the song with the tempo — and I see it in your performance tonight,” said coach Sarah. Did you like Gian Ale’s version of Cecilia? Write your opinion on the comment section below.